The primary objective of EWRA Sp. z o.o. is to provide top-level services to the B2B sector, while respecting business relations. What sets us apart is our long-term experience and expert knowledge. We do not rely on risky innovations because what we value most is the safety of our clients. We offer individual approach and tailored solutions, and our offer includes only what we are truly knowledgeable about and what we have been doing for years. A graduate of the Department of Law, University of Wrocław; he also completed postgraduate studies in the field of Psychology in Business. He has been in the debt collection industry for many years, both in the field of fee-based collection and trading in receivables. He was the originator and co-founder of few well-known companies operating in the B2B collection industry, where he was responsible for business strategy and operations divisions. 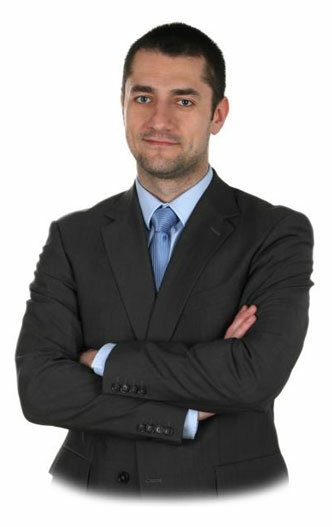 Some of the key elements of his experience include numerous restructuring changes in clients’ internal processes relating to the management of receivables, developing and coordinating cooperation with leading receivables insurers in the Polish market, and building from scratch all of the companies that he is involved with. He combines work with passion, owing to which he continuously engages in debt collection processes carried out for his clients. He loves competition and new challenges, although, when asked about his greatest strength, he mentions self-discipline and ambition. He has three cats, and is an active enthusiast of martial arts, a former competitor and certified Shinkyokushin Karate referee. Starting from 2018 EWRA Sp. z o.o., as the only one polish company, is the member of E-IURE association (www.e-iure.com).